Tired of looking older than you are? Want to restore some youthfulness to your face but don’t want to undergo the expense or surgical downtime required for a facelift? Consider a liquid facelift – dermal fillers! They can eliminate those deep creases between your forehead, the lines around your eyes, plump your lips and more! And let me let you in on a little secret … I myself have had dermal fillers and it has made me look ten years younger. I definitely practice what I preach! However, before you decide on injectables, there’s certain things you should know. With so many new dermal fillers coming on the market every day, there is a lot of confusion. Should you get Botox, Juvederm or Sculptra? Is there a difference? Are they safe? Let’s take a look and dispel the myths. Botox was the first dermal filler on the cosmetic scene, introduced in 2002. Although they perform the same function, they are made from different substances. Botox is made from a toxin produced by the bacterium Clostridium botulinum, Juvederm is made of a hyaluronic acid gel, Sculptra contains synthetic polylactic acid, and Radiesse is a synthetic dermal filler made of calcium hydroxyapatite. Botox is injected into the muscle and essentially paralyzes it, removing the appearance of wrinkles. Most other dermal fillers are injected into the face and fill wrinkles and creases with a substance to eliminate the appearance of wrinkles. Fillers fill and Botox relaxes. While injecting Botox into your forehead may make frowning harder, isn’t that the point?If done correctly and in proper moderation, Botox will look natural and emotions will still be expressed on your face. It does not affect the way you smile or the twinkle in your eye that comes from feeling more confident about your appearance! Depending on what type of injection you have, it may feel like a pinch to your skin. Some dermal fillers are often combined with lidocaine to numb the area. At The Bradford Skin & Medical Spa, we often use topical numbing agents to reduce any discomfort. On a scale of 1 to 10, our clients estimate the pain level at 2. How long the dermal fillers last is really based on a person’s skin type, sun damage, genetic factors and age. 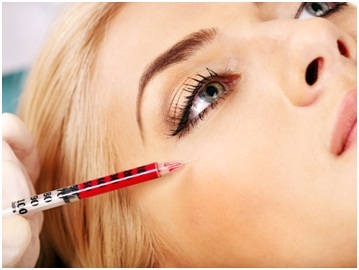 Botox usually lasts 3 months before touch-ups may be needed. Perlane is FDA approved to last for six months, while Restylane is approved to last up to 18 months (with repeat injections). Herein lies the key to getting dermal fillers: the experience and expertise of the person doing the injectables. At Bradford Skin & Medical Spa, our injections are done by Marie Nieminen, an RN for more than 25 years. She has worked in the ICU of a burn unit, so she knows all about tissue. Her goal is to make you look as natural as possible. She knows how deep to inject it, ,how much product to inject and what type of needle to use. She will talk with you extensively about the look you want to achieve … in fact, she has a waiting list! At our medical spa, we have seen clients who have been over injected or poorly injected at other spas. Unfortunately, their face looks virtually immobile and their cheeks out of proportion! You will never have this type of experience at our spa, because our business depends on repeat customers and referrals. We’re proud of our reputation for being one of the premiere skin care clinics in Bradford! In general, the sun has many damaging effects on your skin, and you should never go outside without sunscreen or a moisturizer with sunscreen. Dermal fillers are directly impacted by the exposure to the sun. Although you can become psychologically addicted to Botox, you cannot become physically addicted. Dermal fillers are all about making you look better. We’re not here to sell you an inordinate amount of dermal fillers … we’re all about increasing your self-confidence! At Bradford Skin Clinic and Medical Spa, you’ll find our dermal fillers to be therapeutically amazing and safe. Some people have a little bruising and swelling, but the noninvasive nature of the procedure leads to very few risks. And if you don’t like it, the results are not permanent, so you can always switch to another skin care procedure. Scared of needles? We have a variety of other anti-aging procedures that may be more to your liking. 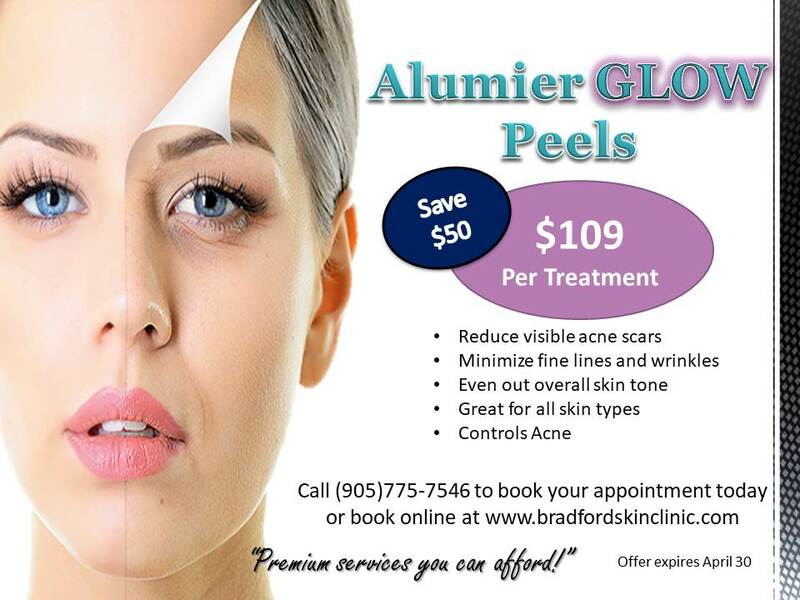 Laser photorejuvenation and medical grade chemical peels can produce amazing results when it comes to getting rid of acne scars, age spots, fine lines and more. Bothered by the spider veins on your legs or around your nose? 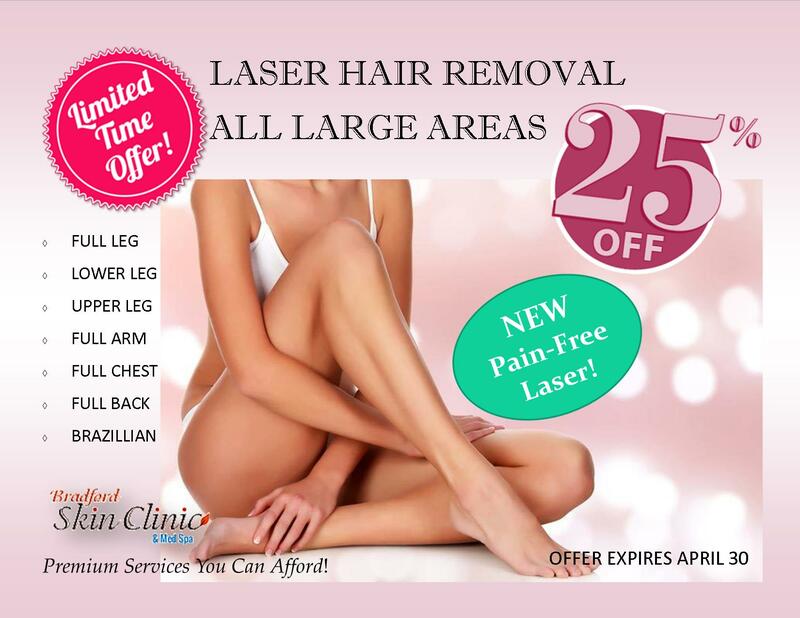 Try our vascular lesion removal treatment, you will love how clear your skin looks after. With our free skin consultation we can help you decide what procedure is best for you. You’ll leave our spa refreshed and rejuvenated. If you don’t take care of yourself and pamper yourself, who will? 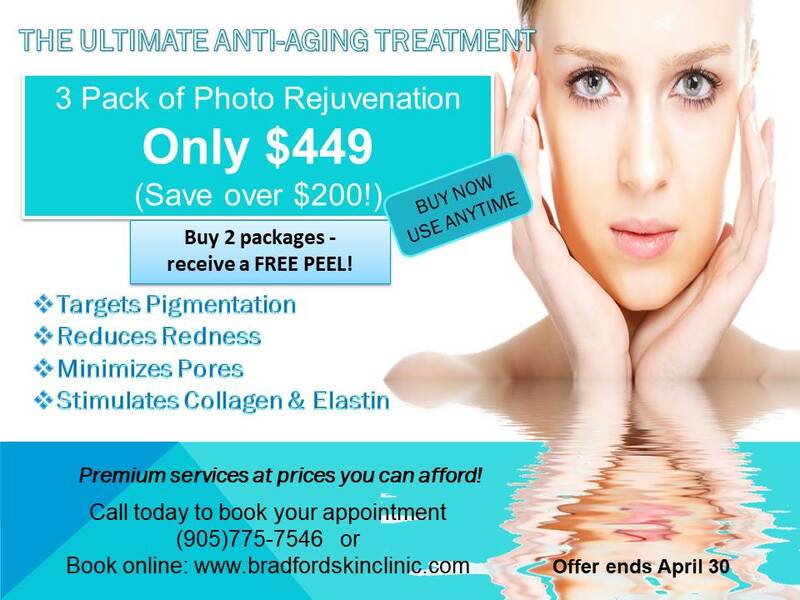 Call us today at 905-775-SKIN (7546)! Mia Liefso is a professional medical skin therapist and the owner of Bradford Skin Clinic & Med Spa in Bradford, Ontario. She has certifications in IPL, VPL, laser and ultrasound technologies, as well as body contouring and medical facial peels. Her professional interests include difficult skin conditions—psoriasis, eczema, and acne—premature aging, skin care for the elderly, endocrinology, and helping people love the skin they’re in. Her diverse personal interests include history, animals, roller derby, travelling and gourmet cooking.